Though Gabrielle has been teaching SCUBA for several years, in 2015, she formed Life Worth Leading, a 501(c)(3) nonprofit organization. Gabrielle loves underwater photography and videography. She has taught classes on the topic and was a professional videographer for several years. Her photos have been published internationally, and her video has appeared on such media outlets as The Today Show and photographs published in many magazines and other publications! 2018 has been phenomenal. We've served over 200 people so far this year including at Sportsability (Maclay Gardens State Park), a wonderful event put on by Florida Disabled Outdoors Association, plus through scholarships and other events. We've had over 80 volunteers so far, so this is on track to be our best year yet to help people with disabilities. Our dream is to build an accessible warm water aquatherapy facility to better serve those in need including people with disabilities, chronic illnesses, and injuries. The facility would also provide training and skills to people with disabilities to improve employability skills. 2017 was fantastic! Thanks to some wonderful partnerships including with Florida Disabled Outdoors Association, we were able to purchase some well-needed adaptive gear for SCUBA divers with disabilities. We also partnered with Dive Pirates Foundation to provide two full scholarships plus SCUBA gear and a trip to Cayman Brac to a combat-wounded veteran purple heart recipient and his wife. We served over 300 people with disabilities in 2017 at no cost to them, and we had over 120 volunteers! 2016 was very busy including donating services and equipment, plus organizing teams of volunteers, with Florida Disabled Outdoors Association, Rotary Youth Camp (for kids with disabilities), the Family Café (for people with disabilities and their families), Veterans Adaptive Sports, and Veterans Oceans Adventures (the latter two nonprofits are primarily focused on serving veterans with disabilities)! We had over 100 volunteers! In June 2015, Gabrielle enjoyed participating in The Family Café in Orlando, Florida where she focused on sharing research on adaptive SCUBA and demonstrated the experience with people with disabilities. 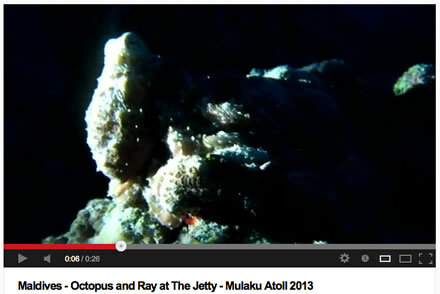 Here are a couple of videos of the event: Matthew and TJ experience SCUBA. 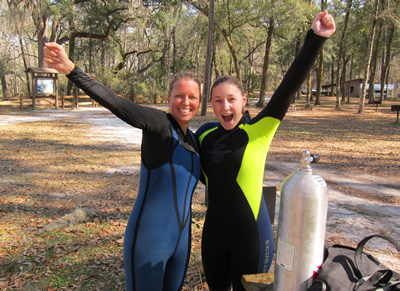 Gabrielle is an instructor with SEI, CMAS, and Handicapped SCUBA Association (HSA). In 2014, Gabrielle donated hundreds of hours of time volunteering including at Rotary Youth Camp and at the Florida Disabled Outdoors Association's Sportsability events. She also awarded several full scholarships for SCUBA certification to individuals with disabilities. In addition, she used her SCUBA income to provide surgeries, medication, and other expenses to 60+ animals she fostered and got adopted to great homes bringing her total number of fostered kitties and pups to over 606 to date! In April 2015, Glorious Galápagos, an article about Gabrielle's SCUBA experience in the Galápagos Islands, Ecuador, was published in Currents, a journal for SCUBA professionals, was published. 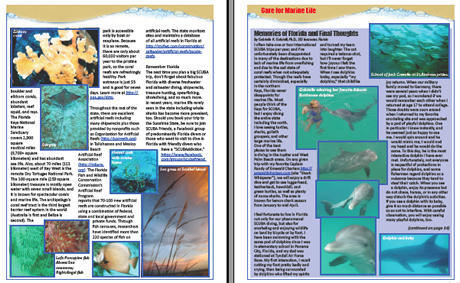 In July 2013, Gabrielle's article and pictures about SCUBA Diving in Fabulous Florida, as well as her experiences with dolphins and manatees, was published. Download the journal and check out pages 7-14! In April 2013, Currents, a journal for SCUBA professionals, published Gabrielle's SCUBA article and pictures about her Magical Maldives SCUBA liveaboard experience. Download the journal and check out pages 4-9! 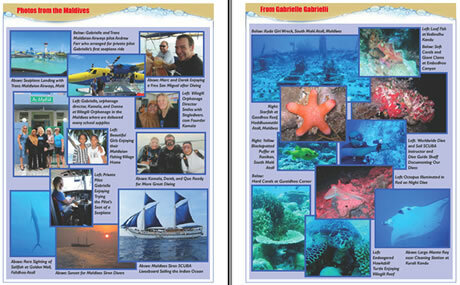 Check out SCUBA Instructor Gabrielle's SCUBA videos on YouTube! Subscribe to our Gabrielle Consulting and SCUBA with Gabrielle YouTube Channel. SCUBA Educators International (SEI) is a worldwide organization with the highest quality of education and standards in the industry. SEI took over the YMCA SCUBA program in 2008 and maintained the same high standards. YMCA is the oldest and most respected certifying agency in the business. Gabrielle is an instructor trainer with SEI. The training takes longer than traditional dive shops, but learners end up being more prepared and safer divers. With SEI, the emphasis is not only on safety and enjoyment, but also on how and why people learn. Education is key to making sure that you have fun while SCUBA diving and that you want to enjoy it for the rest of your life!